Lid King established the Languages Company in 2008 in order to support the National Languages Strategy. A languages teacher in secondary, higher and adult education, advanced level examiner and materials writer, Lid was Director of CILT from 1992 to 2003, during which time he led the organisation through a period of significant expansion, setting up regional centres (Comenius Centres), a national conference programme with supporting publications and research dissemination, new on line information services and support for business languages. From 2003 until 2011 he was NATIONAL DIRECTOR FOR LANGUAGES taking forward the implementation of the National Languages Strategy for England. He was co-author of The Languages Review. Since 2011 he has worked in particular on Language Policy, the Multilingual City and Language pedagogy. 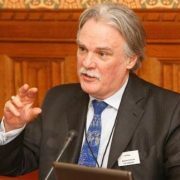 He has been an adviser in many international contexts and represented the UK on languages at both the European Union and The Council of Europe. Philip Harding-Esch was raised bilingual and studied French & Linguistics at St John’s College, Oxford and is also a qualified translator. From 2000 – 2011, he worked for CILT, the National Centre for Languages, supporting the national primary and secondary programmes. 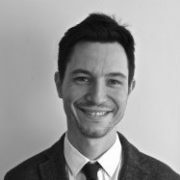 He is an experienced project manager and has coordinated many language related initiatives- on language teaching, technology and language policy for example. Dilraj Sidhu is a qualified accountant with many years experience. She has expertise in supporting small companies, both to fulfil their statutory responsibilities and to manage projects efficiently and responsibly. She oversees the accounts and tax returns of the Languages Company as well as managing our human resource requirements.